Divorce Lawyer | Menomonee Falls | Law Office of John F. Zeckel, S.C.
None of us enters into marriage with the intention of someday filing for divorce, but for some couples divorce is the best option moving forward. If you have come to this conclusion, you will need the representation of an experienced and strategic family law attorney. Principal attorney John F. Zeckel has over 30 years of experience helping people just like you navigate the Wisconsin legal system and obtain the results they want from their divorce. He can do the same for you, too. There are several complex legal issues which need to be analyzed before you file for divorce. These include legal custody and placement of your children, debt and property division, as well as child and spousal support. Ensuring you have accurately assessed your assets, circumstances, and goals with a trusted attorney at the start will most certainly save you a great deal of stress down the road. In today’s day and age, divorce is no longer an uncommon or shameful fate for many couples that marry. However, there are many legal professionals out there that do not spend the time to carefully listen, advise, and formulate specific strategies for meeting your expectations. 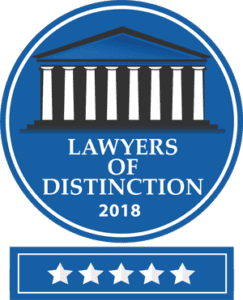 At the Law Firm of John F. Zeckel, S.C., we devote the highest level of attention to detail possible to each and every divorce case. The Law Office of John F. Zeckel, S.C. provides trusted and effective legal counsel to individuals in Menomonee Falls, Waukesha County, Washington County, and throughout southeastern Wisconsin in divorce cases. Contact our law firm today at (262) 255-2050 to schedule a free consultation with an experienced attorney.